A Must See !!! 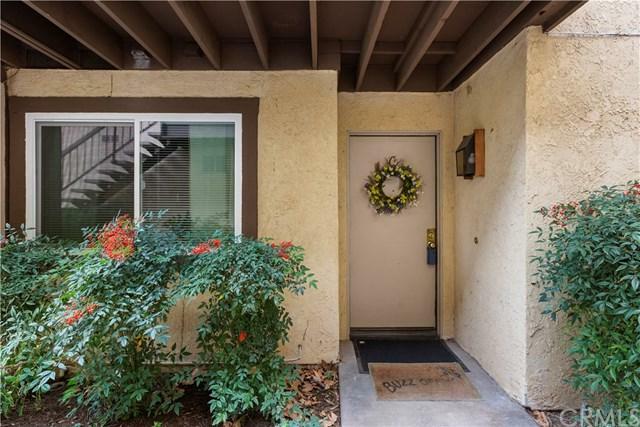 Turnkey and Priced to Sell... best describes the 3 bedroom , 2 bath, lower level condo with golf course views. Unit features a spacious living room with a brick fireplace, dining area, a galley kitchen, indoor laundry and 3 good-sized bedrooms. Over the past 2 years the current owner has installed dual pane windows and newer window treatments, remodeled the kitchen with newer cabinets, countertops, sink, plumbing fixtures and stainless appliances. In the hall bathroom the owners replaced the tub/shower insert, toilet, vanity, plumbing fixtures, plus the lighting fixture. In the master bath you'll find a newer dual sink vanity and a newer toilet. Unit also offers a rear patio where you can enjoy summer night barbecues as you look out onto the Shandin Hills golf course. Additionally this unit has a front patio off the master suite. Complex offers a community pool/spa for relaxing. Low HOA dues that cover water and trash. Buyers....Bring your furniture and you are home. Sold by Vandana Shah of Dynasty Real Estate.